Last Stop Before Tomorrow shares the compelling tale of three primary characters as they wrestle with the riddles, paradoxes, and dilemmas of climate change and humanity’s relationship with technology, and search for answers to the human predicament and the challenges of their own lives. Jules, a brilliant computer modeler and dual PhD in mathematics and philosophy, finds himself working with Sir Henry Percival McIntyre, CEO of an international energy conglomerate, who knows he must change the course of his global enterprise as humanity struggles to change the course of history. Maryanne, Jules’s artist lover, distrusts the alliance and is filled with premonitions. As Maryanne, Jules, and Sir Henry are brought together, they are swept along on a journey accompanied by Prometheus, bringer of fire, and Pandora, the inquisitive, whose legacies also hang in the balance as they wonder if the outcome will be tragic or transcendent. 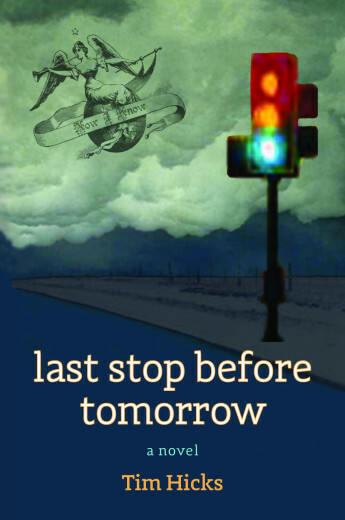 Last Stop Before Tomorrow is available at Amazon.com in paperback or e-book or at your favorite book store. 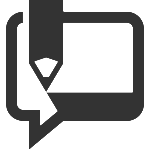 Visit the book blog for news, events and updates. Welcome to the Last Stop Before Tomorrow site. By way of introduction, I am a mediator and conflict resolution practitioner by day and a writer by day and night. Last Stop Before Tomorrow is my first novel. 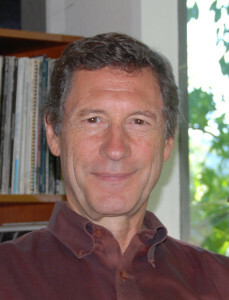 In addition to poetry and short stories, I am the co-author of the book The Process of Business/Environmental Collaborations: Partnering for Sustainability and author of Barriers to the Use of Mediation in Environmental Disputes. I am also the author of a number of articles including Another Look at Identity-Based Conflict: The Roots of Conflict in the Psychology of Conflict, and Embodied Conflict: Perspectives on the Neurophysiology of Conflict. I am the father of two and stepfather of one, all adults. I live in Eugene, Oregon. This past year has been filled with finishing Last Stop Before Tomorrow and getting it published, and with writing Embodied Conflict: Perspectives on the Neurophysiology of Conflict, which started out as an article but is threatening to become a book. I am now working on my next novel. If you’d like to stay in touch, click HERE to get on my mailing list. Hearing from my readers keeps me going and often gives me information that helps me with my writing. Your responses make a conversation of what is otherwise the solitary expression that is the act of writing a book. Let me know what you liked and what you would have liked to see differently. And if you liked the book, please post a review on Amazon or any other book source you use. Finally, if you are a member of a book group that takes up Last Stop Before Tomorrow, I’m available to join your discussion of the book online, or in person if your group is in Oregon or Washington. I respond to all reader messages. I look forward to hearing comments and questions from you!